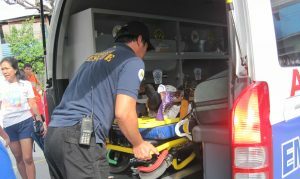 As early as 2004 during the 13th Congress, the importance of having an EMS and Trauma Care law was initially highlighted in the Senate with the passage of the SB (Senate Bill) No. 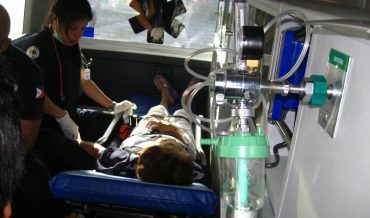 82 entitled “An Act to Improve Emergency Medical Services and Trauma Care” which was introduced by then Senator Luisa Ejercito-Estrada on June 30th, 2004 and underwent first reading and was submitted to the Health and Demography Committee on July 28th, 2004, however, its status remained pending until the subsequent Congress. 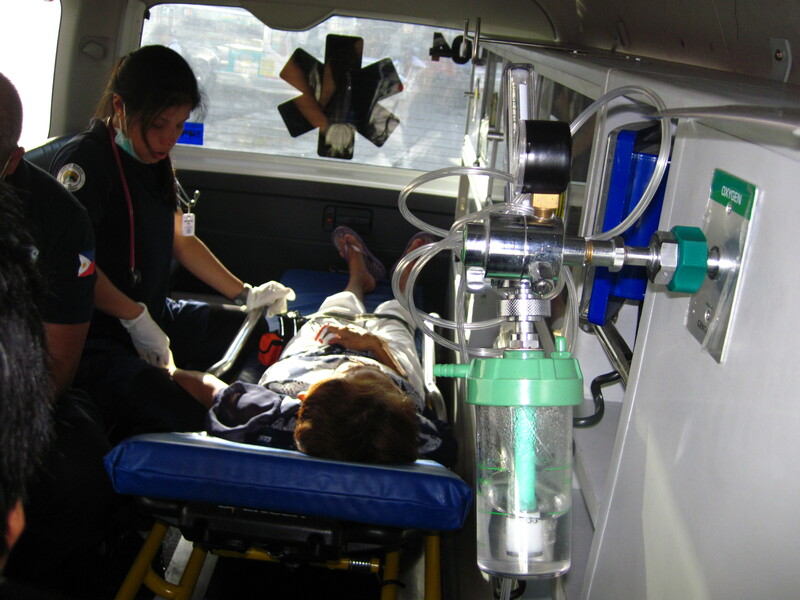 In 2008, another Senate Bill on EMS and Trauma Care (SB 2091) was introduced by Senator Miriam Defensor-Santiago during the 14th Congress and thereafter, a number of bills have been introduced pertaining to EMS in the Congress and the Senate. One version which was the SB 3579 “Pre-hospital Emergency Care Act of 2010” was approved on the 3rd reading at the Senate and certified by then President Gloria Macapagal-Arroyo for immediate enactment but unfortunately, it was not passed into a law for unknown reasons. There were new versions of the EMS Bills which were then passed in the Congress where it was eventually approved and were transmitted to the Senate but met the same unfortunate fate. 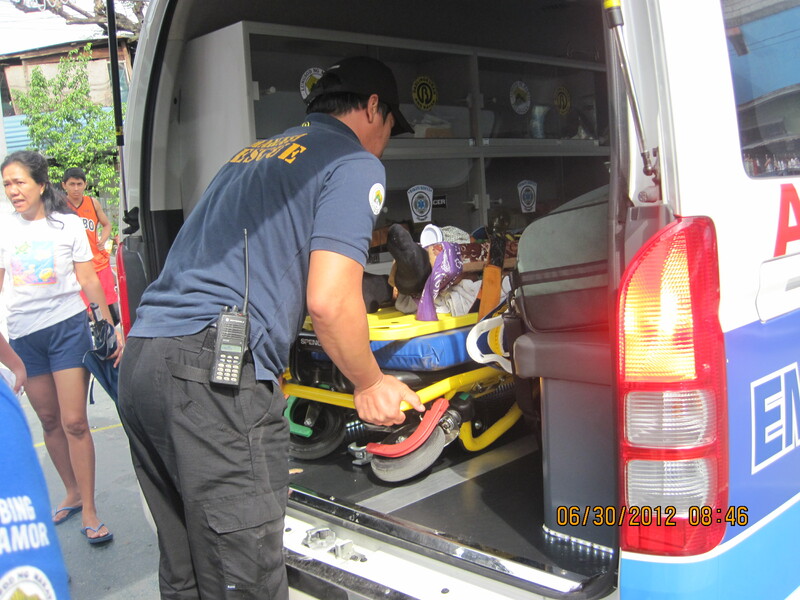 (PCEM) to start efforts to push for the approval of the Philippine EMS bill afresh. On October 20th, 2015, the collaboration to lobby for the Philippine EMS Bill was forged between the Philippine College of Emergency Medicine (PCEM), Philippine Heart Association (PHA) and Philippine College of Surgeons (PCS) at the East Avenue Medical Center, ER and Trauma Conference Room. Veteran EMTs also became involved in this endeavor. The representatives of the specialty societies and the EMT group discussed the facts and updates presented pertaining to the Philippine EMS Bill (HB 4577) and eventually decided to form a core group which was aptly called “EMS Philippines”. The Philippines is a disaster prone country, ranking 3rd from 2011-2013 according to the World Risk Index and 2nd in 2014, attributed expectedly to the damages caused by Typhoon Haiyan, locally known as Yolanda. Hence, it was highlighted as a fact that a disaster’s impact on life, property, livelihood and environment in any country, depends on a competent emergency service delivery by an organized national EMS system. There is a need to have only one unified emergency number in the country for citizens to be able to access urgent emergency medical assistance which is one of the main provisions of the EMS System Bill. 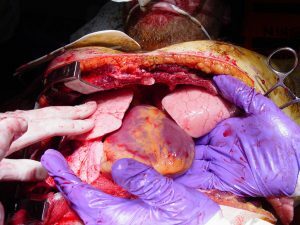 Based on numerous international and national EMS studies, it has been established that the patients seen and given appropriate and standard prehospital care at the onset of acute manifestations of their critical illness (medical or trauma cases), have increased survival rates. 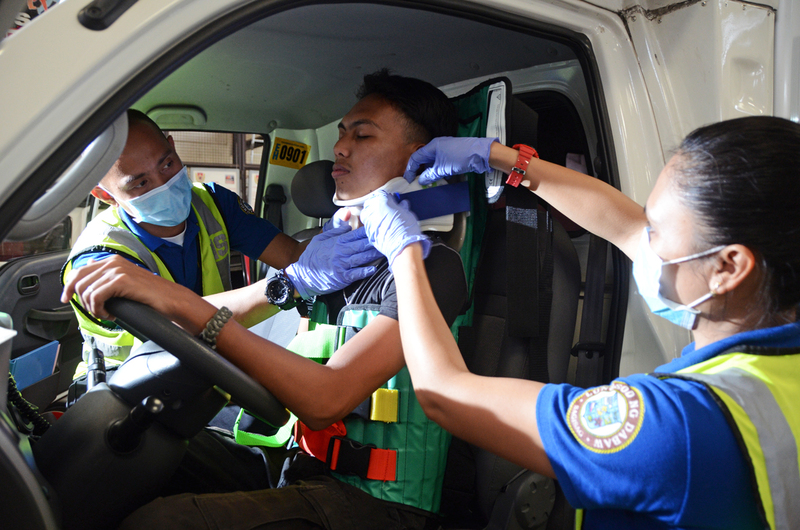 Since there has been an alarming increased rate in the numbers of new EMT Training Schools all over the country, the Philippine EMS System Bill needs to be ratified to ensure that standardized training is being given in each school and must be regulated accordingly. The members of the PCEM EMS and DM Committee were then able to meet with Dr. Gloria Balboa, the then new DOH-Health Emergency Management Bureau (HEMB) Director, on October 27th, 2015. 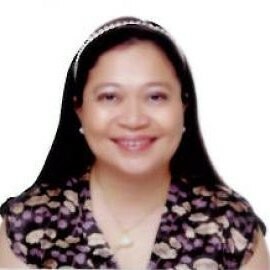 She gave her inputs regarding the EMS Bill and further agreed with the salient reasons presented on why the Philippine EMS System Bill should be passed as a law the soonest possible time and expressed her full support. Through the guidance of concerned individuals who knew about the journey of the Philippine EMS Bill (HB 4577), the PCEM EMS and DM Committee, on November 4th, 2015, was able to seek the assistance of the Presidential Legislative Liaison Office (PLLO) which looked into the avenues that can be tapped for the Philippine EMS Bill to be considered as urgent and eventually be passed into a law in the 16th Congress but unfortunately, there were other Bills that were being considered as urgent by the Senate. This however, did not deter the members of the core group to continue meeting up and finding ways to pursue this goal in the succeeding months with the annual EMS Week celebration on May 16th – 21st, 2016 as one of the major activities which was noted to be a successful one. Favorable developments also ensued wherein the CPR Training in Schools Act (HB 6204) popularly known as the “Samboy Lim” Bill was approved by the Congress and was introduced in the Senate as S.B. 3016 with the same title on November 26th, 2015 which became SB 3204, as approved by the Senate on May 23rd, 2016 and was adopted as an amendment to HB 6204 by the House of Representatives on the same date and eventually lapsed into a law known as Republic Act 10871 “Basic Life Support Training in Schools Act” on July 17th, 2016 even without the signature of the then President Aquino in accordance with the Article VI Section 27 (1) of the Constitution. The EMS Bill HB 4577 however, was not fortunate enough to have same approval but the EMS Bill core group continued to meet, discuss and polish the contents of the EMS Bill which has been modified to include the EMS System as a whole. on Health on the same date, July 27th, 2016. Cong. Teddy Baguilat’s EMS Bill version, filed as HB 1605 on July 14th, 2016 was also referred to the Committee on Health on August 2nd, 2016. Filed on September 7th, 2016 was Cong. Angelita Helen Tan’s EMS Bill HB 539 and subsequently referred to the Committee on Health on September 14th, 2016. The latest version, HB 4955 entitled “EMS System Act of 2017” was filed on February 6th, 2017 by Cong. Ron Salo. All House Bills except for HB 720 filed by Cong. Alfredo Vargas were collectively referred to the Committee on Health on October 2nd, 2017.
version entitled “Pre-Hospital Emergency Care Act of 2016“ which was also previously introduced by Senator Antonio Trillanes was filed on July 19th, 2016 and referred to the Committees on Finance and Heath and Demography on August 9th, 2016. 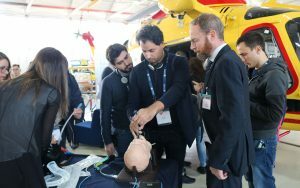 The annual EMS Week was again successfully celebrated on May 14th – 20th, 2017 and the activity highlights were the Ambulance Parade, EMS Leadership and Medical Workshop and, EMS Skills Competition. An EMS Forum was also held and one of the topics discussed was on how to move further with our EMS endeavors including the exchange on ideas on how to continue lobbying for the EMS Bill to finally become a law. 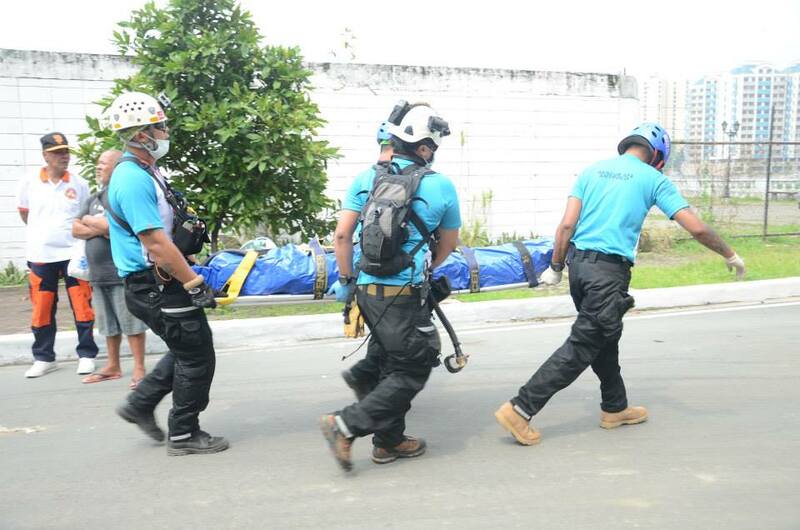 For this year, the annual EMS Week was held in Cebu City on May 15th- 16th, 2018 which highlighted the urgent need to have an EMS System Law in the land. On January 30th, 2018, the Committee on Health of the 17th Congress met and what was agreed upon was to consolidate the present 4 EMS System House Bills into one solid EMS System Bill and on June 20th, 2018, a TWG (Technical Working Group) for the EMSS Bill was formed in a meeting spearheaded by Cong. Angelita Helen Tan and is set to be meeting regularly to pursue the planned consolidation of the mentioned 4 EMSS House Bills. A workshop on the Institutionalization of the EMS System was conducted and sponsored by the HEMB (Health Emergency Management Bureau) of the DOH (Department of Health) on August 15th to 17th 2018, which was attended by participants from the different government and public agencies presently involved in the existing EMS system of the country. as well as the private stakeholders who are directly involved with the several existing EMT training institutions in the country. 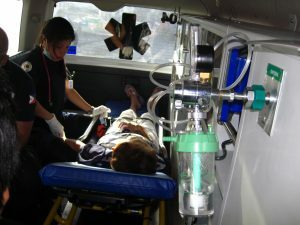 for an organized response to any kind of medical or trauma emergency with adequate equipment and well-trained EMS professionals and that ensures the greater survival of patients needing the best possible pre-hospital and emergency care that they only deserve, regardless of their capacity to pay. Health Emergencies and Disasters (HEAD) Study Group National Institutes of Health, University of the Philippines-Manila (Pedro Gil St., Ermita, Manila 1000 Philippines).